Welcome to the Weekend Buzz on Holy City Sinner. Here's what's happening the third full weekend of April 2019. The following is a list of just a few events and happenings you might want to take part in during the weekend. 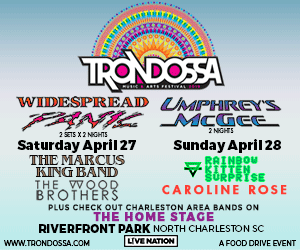 Consider the list a cornucopia of happenings around the Lowcountry of Charleston. Something for everyone. The year heats up with events, so be sure to check the Weekend Buzz out on Holy City Sinner. Thanks! Lots happening in Chuck-town this weekend. 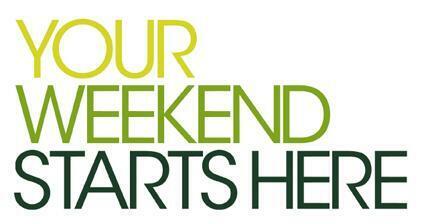 If you love comedy, plays, sports, food & festivals, you'll find something to do this weekend. Happy Easter to all in the Holy City. There no doubt will be plenty of area churches offering up special services this weekend. Check with your local congregation. Ghost Monkey Brewery 522 Wando Ln Mt Pleasant is the host location for Make A Wish Food Truck Rodeo on Saturday. Enjoy a curated selection of food and beverage options and live music, all while supporting Make A Wish SC. Dashi, Brunch Holiday, Dog and Duck Belle Hall, Holy Rolly Charleston will be onsite! Live Music by Chris Sullivan. Up at Rusty Bull in North Charleston come out for a rodeo. Get ready for the return of the Rusty Bull Rodeo on Saturday beginning at 4pm. Make sure you dust off the boots, wear the finest flannel, and find your cowboy hat for a spankin' good time. 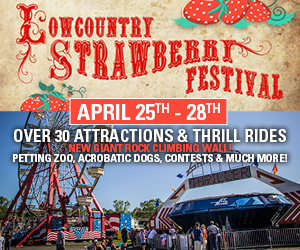 Show off your bull riding skills and bring an appetite for a party that is 1/3 food truck rodeo, 1/3 music festival, and 1/3 rodeo. Food trucks include Rolled Quesadillas, The Pita Stroller, Herd Provisions, and WINGS N Things Food Truck. Live music with mechanical bull 6-8pm. The Charleston Music Hall is busy this weekend. The Music Hall host the Charleston Songwriters Festival featuring, Jeffrey Steele, John Paul White, Will Hoge, Yesterday's Wine feat. Wyatt Durrette and Levi Lowrey. Show starts at 7:30pm. Tickets $40 - Tier 2 | $45 - Tier 1. On Saturday Charleston Jazz Orchestra presents Mess Around: A Tribute to Ray Charles, featuring Manny Houston. Two performances, 5pm & 8pm. Tickets $10 - $60. 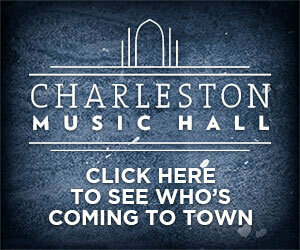 The Charleston Music Hall is located at 37 John Street downtown Charleston. Call 843-853-2252 for more info. Hemp lovers delight this Saturday. The Charleston Hemp Fest is a day of family fun mixed with education and awareness of the benefits of Industrial Hemp and CBD. Join us as we celebrate with state-wide attendees, live local musicians, local artisans and community leaders! The event takes place at 4060 Hwy 17A in Ridgeville from 11-6pm. (843) 873-0909 for details. Depending how the opening round playoff series goes your SC Stingrays could host the Orlando Solar Bears on Friday & Saturday night at the North Charleston Coliseum. 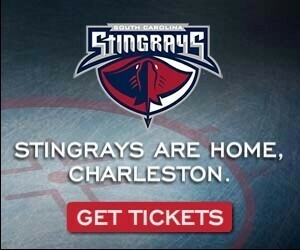 Be sure to check the coliseum website or the Stingrays website for more. Or call 800-745-3000 or 843-744-2248. Veteran rocker Dave Matthews and guest Tim Reynolds perform live at the Volvo Car Stadium on Daniel Island this Saturday night beginning at 7:30pm. A few seats left for this show. Check out Ticket Master website for details. 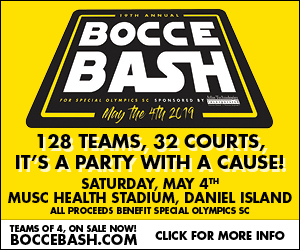 The Nashville SC take on your Charleston Battery this Saturday night at MUSC Health Stadium on Daniel Island. Game time is set for 7:30pm. 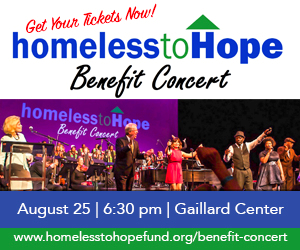 For tickets and info visit the box office or call 843-971-GOAL. The Charleston Symphony Orchestra present 'Russian Romantics' 7:30 Friday night at the Gaillard Center. After becoming an instant hit with the CSO in 2017, beloved pianist Joyce Yang returns to Charleston to close out the season with a night of Russian romantic music. Yang will play Prokofiev's Piano Concerto No. 3, which Prokofiev pieced together from scraps of music he had written here and there over the previous years. The piece steadily grew in popularity, and is now considered one of the most cherished piano concertos ever written. For tickets and info call 843-723-7528 or visit the Gaillard box office at 95 Calhoun St.
Do you love wings. 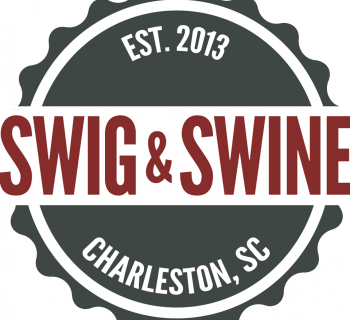 Wingapalooza brings together some of Charleston’s best wing restaurants in one place where event attendees can sample and vote for their favorite wings in the Lowcountry. 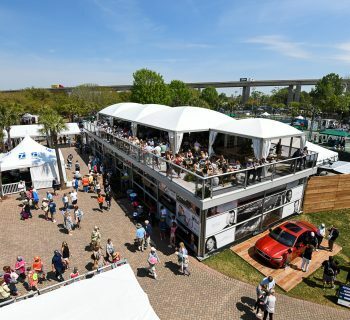 This year's event will once again take place in one of Charleston's coolest venues, The Visitor Center Bus Shed at 375 Meeting Street on Friday night beginning at 7pm. Tickets include entrance into the event, a sampling of every wing restaurant and the ability to vote for your favorite. Drinks and alcoholic beverages will be available and are sold separately. Music will be provided by The Kenny George Band. In addition to our People's Choice award, a panel of culinary experts will sample and judge our competitors for other categories and awards. 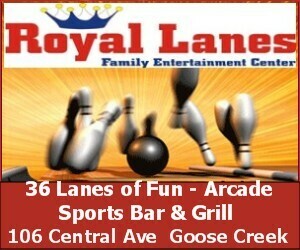 Gamers Only In Charleston, 908 Bacons Bridge Rd Suite 10 host a Standard Tournament on Saturday 1-6pm. The first standard tournament of their new Saturday event schedule. $20 entry, with 100% back to the players as store credit. Info at 843-594-3128. Magnolia Plantation Easter Egg Hunt is back for its 10th year! On Saturday 20,000 eggs stuffed with candy and prizes will be spread across the field across from Magnolia's historic plantation house for children to find. 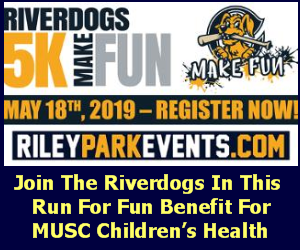 Participants will have an opportunity to participate in the morning or afternoon hunt in the following age groups: 3 years and under, 4-5 years, 6-8 years and 9-12 years. 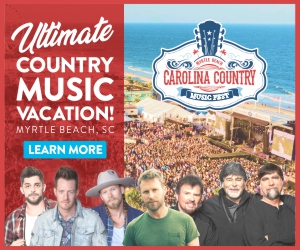 Call 843-571-1266 or visit their website for complete details. The Easter Egg Hunt is free with garden admission and for families with annual memberships. Garden admission is $20/adults, $10/children 6 to 12 years and free for children 5 and under. An yearly tradition continues at the Hat Ladies 18th Annual Easter Promenade takes place Saturday along Broad Street. Their Promenade Stroll begins at the corner of Meeting and Broad Streets. It heads east on Broad to East Bay, then does a U turn back to where they started. 11:00 sharp. 843-762-6679 for details. On Saturday April 20th & 27th Charleston Stage present The Musical Adventures of Flat Stanley at Dock Street Theatre. The Boy Who Traveled Around the World in an Envelope! makes its Charleston Premiere. Showtimes are 11am on both Saturdays. Tickets Adults $30.75, Seniors (60+) $30.75, Students (Ages 3-25) and Active Military $30.75. 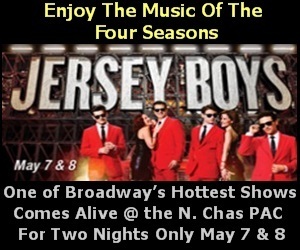 For more call the box office at (843) 577-7183. The Summerville Farmers Market brings local farmers, artisans, food trucks with live music to the historic downtown. The weekly event runs every Saturday from April to November. 8AM-1PM. Located behind Town Hall in historic downtown. The Charleston City Night Market is an exciting showcase of more than 100 talented artists and craftspeople that occurs every Friday and Saturday evening from March - December. 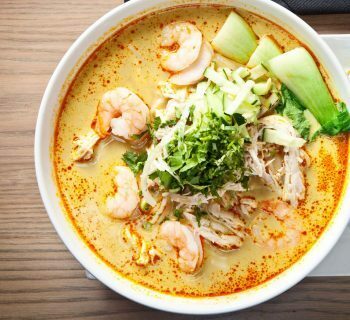 The Night Market runs from 6:30 - 10:30pm and is a free event that is open to the public. 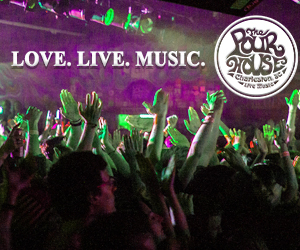 Enjoy live entertainment and a festive atmosphere. You'll love being outdoors at twilight and strolling through our three block-long market. All vendors are 100% local with 100% locally-made items for sale. 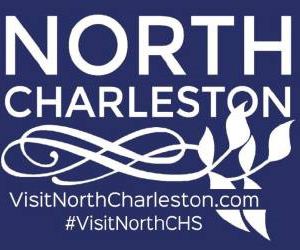 If you are looking for a uniquely Charleston souvenir or piece of artwork, this is the place to be! 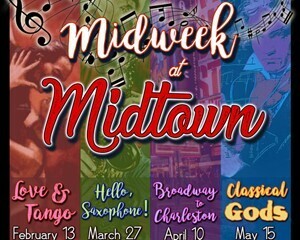 The Sound of Charleston, the city's longest running musical production, has been performing continuously since 2010. 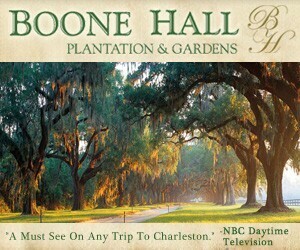 The shows feature the music of Charleston's history, from gospel to Gershwin, including spirituals, Civil War camp songs, Gullah, jazz, Gershwin's "Rhapsody in Blue" and "Porgy and Bess", composed locally on Folly Beach, and light classics of the St. Cecelia Society, one of America's foremost social and cultural organizations. Shows at the Circular Congregational Church 150 Meeting Street. 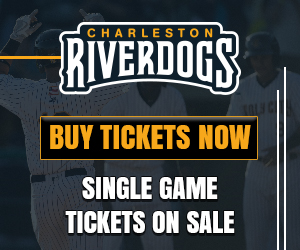 For tickets & times call 843.270.4903. Adults $28; Seniors $26; Students $16; Children 12 and under FREE. Several local wine shops offer wine tastings on Friday night to kick off TGIF. Over in Mt. Pleasant join Des at Crushed Fine Wine at 716 S Shelmore Blvd from 5-7pm as he hosts locals and samples some of the finest wines from around the world and different regions of America. They request $10 for the tasting. $5 of which will be rebated on any bottles purchase. For more call (843) 856-1156. Pure Theatre 144 Cannon Street present A DOLL’S HOUSE, PART 2 by Lucas Hnath, will be presented weekends April 5–20, 2019. Nominated for 8 Tony Awards in 2017 and the winner of the 2017 Outer Critics Circle Awards for Outstanding New Broadway Play, A DOLL’S HOUSE, 2 continues the story of Nora Helmer, who, in the final scene of playwright Henrik Ibsen’s 1879 groundbreaking masterwork, makes the shocking decision to leave her husband and children, and begin a life on her own. Tickets $35. Call 843.723.4444 for tickets & info. Footlight Players at Queen Street Playhouse open 'The Miss Firecracker Contest' this Friday for a three weekend run. Pulitzer Prize Winning Author Beth Henley brings us another critically acclaimed masterpiece focused on the life of Carnelle Scott, a woman with a “reputation” in a small town. This explosive comedy focuses on the annual Miss Firecracker Beauty Contest as Carnelle struggles against all odds and the bizarre and ridiculous characters she encounters to win the crown and replace her tarnished title of “Miss Hot Tamale”. While a hilarious and masterful look at identity and southern culture, this often moving play explores everyone’s need to be loved and accepted. 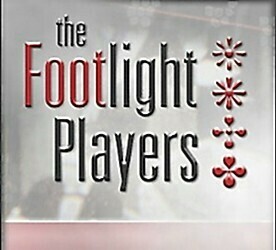 Performances 7:30pm Fri & Sat with 3pm Sunday matinees. Tickets $10-$34. Call 843-722-4487 for more. 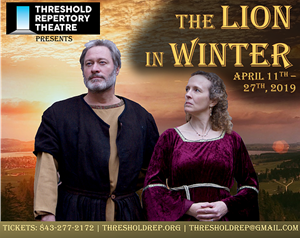 Charleston Theater Co. and Threshold Rep continue their 3 weekend run of 'The Lion In Winter'. It is Christmas 1183 in King Henry II of England's palace in Chinon, France. Henry is discussing with his mistress, Alais, the upcoming day's events. Henry's family will be gathering for the holiday—his wife Eleanor, whom Henry has let out of prison for the occasion, and their three sons, Richard, Geoffrey, and John. Of course, much of the conversation and thought will center around Henry's successor to the throne. Performances at 7:30pm and 3pm matinees on Sundays. All shows at 84 1/2 Society Street. Tickets $16-$25. Call 843-277-2172 for more. Charleston Stage Co. present Beauty & The Beast weekends thru April 28th. Be our guest for this musical spectacular with dancing candlesticks, silverware, and teapots. This is an enchanting tale of a young girl trapped in a provincial town and a prince who is trapped in the body of a hideous beast. Only the magic of love can free Belle and the Prince from the chains that bind them. Tickets range from $29-$71. 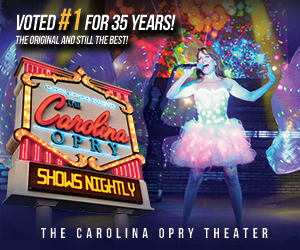 Shows nightly at 7:30pm with matinees on Saturday at 2pm and Sunday at 3pm. All performances at Dock Street Theatre. For more call 843.577.5967. 34 West Theatre Co. at 200 Meeting Street present 'Power of Love'. America's sweetheart hires the city's worst detective agency. 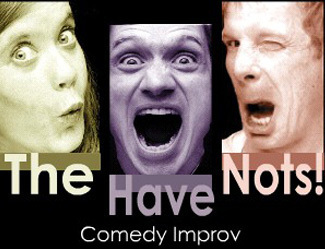 It's Moonlighting meets Parks and Recreation in this charming NEW comedy, with music from the 80's to Motown! A menu of champagne cocktails, wine, craft beers, sodas and savory snacks are available. Performances Tues 7pm, Thurs-Sat 8pm. Shows run thru May 2nd. Tickets $35. For info call (843) 901-9343. The Black Fedora 164 Church Street downtown, offers clean comic whodunit shows most evenings, featuring volunteer audience participation and a la carte appetizers, desserts, and drinks. One-half block off the City Market. $24. A variety of audience participation mysteries that will delight all ages. Among the shows being offered up include 'Sherlock's Other Brother by a Southern Mother', 'Murder Aboard the Starship Fed Ora', 'Inspector NoClue's Murder Mystery', and 'Church Street Daughters of the Late Unpleasantness Garden, Gun, and Gin Club'. Black Fedora is a nice place to be entertained, enthralled, & sit back and enjoy food & drink. Shows rotate throughout the season. For more details call (843-937-6453). The world famous Windjammer on the Isle of Palms is rocking this weekend. Friday night it's Dave Landeo. Tickets just $5. On Saturday at the Jammer it's the music of The Josh Hughett Band. Tickets are $5 online or at the door (Doors 9PM, Show at 10ish) Ages 21 Up or with parent. The Windjammer is front beach 1008 Ocean Blvd. on IOP. 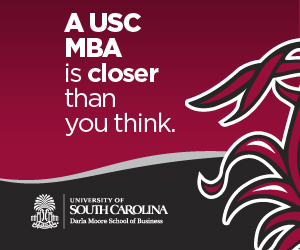 Call (843) 886-8596. 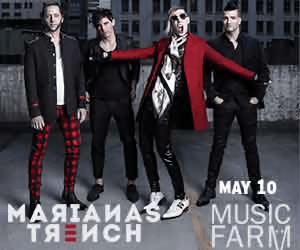 The Music Farm is busy this weekend. Friday night Saved By The 90's perform. Tickets are $6 & $12. Saturday is TBA. 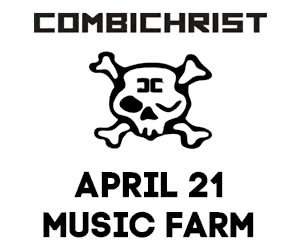 Sunday CombiChrist play the Farm. Tickets $12 to $99 (VIP). 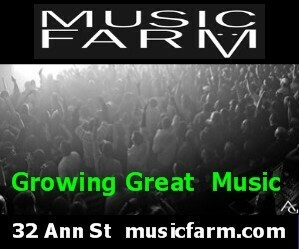 The Music Farm is located at 32 Ann Street downtown Charleston. For more call 843.577.6969. New this weekend at the box office include, 'Breakthrough'. Tragedy strikes when Joyce Smith's adopted son, John, falls through the ice on a frozen lake in Missouri. Trapped underwater for more than 15 minutes, rescuers bring John back to the surface and rush him to the nearest hospital. While doctors fear the worst, the 14-year-old boy continues to fight for his life as Joyce, her husband and their pastor stay by his bedside and pray for a miracle. Stars Chrissy Metz, Josh Lucas, & Topher Grace. Rated PG. Also new the funny documentary, 'Penquins'. An Adélie penguin named Steve joins millions of fellow males in the icy Antarctic spring on a quest to build a suitable nest, find a life partner and start a family. None of it comes easily for him, especially considering he's targeted by everything from killer whales to leopard seals, who unapologetically threaten his happily ever after. Rated G.
All upcoming events can be found on the calendar page.